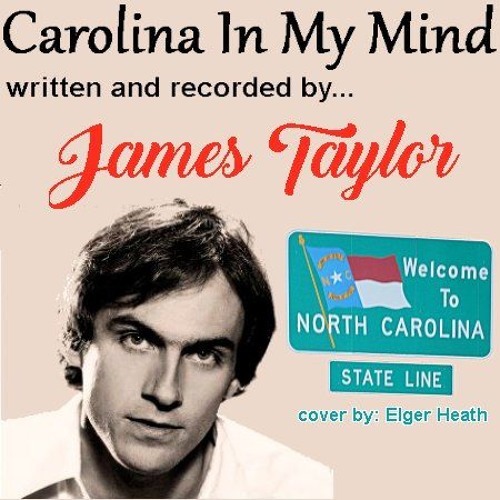 In 1968 James Taylor wrote and recorded the song 'Carolina In My Mind'. It earned critical praise but was not a commercial success. Like other James Taylor songs, this one has a soft ballad style reflected the sense of homesickness he experienced at the time, while he was overseas recording for the Beatles' label Apple Records. This song has a great melody and incredible lyrics. It stands the test of time and is still a staple of James Taylor, whenever he does a concert.